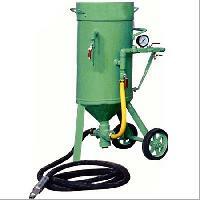 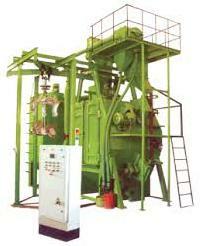 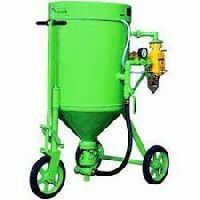 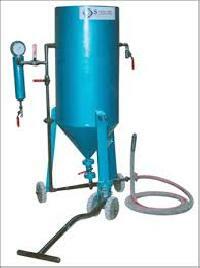 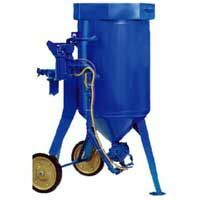 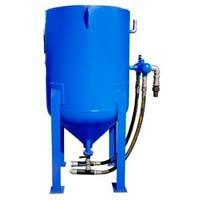 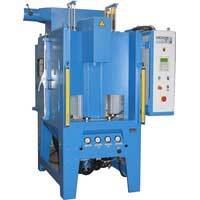 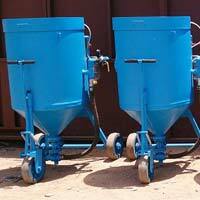 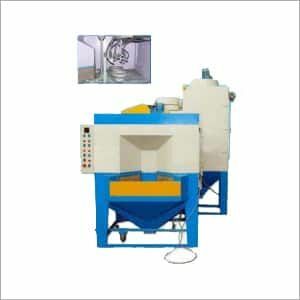 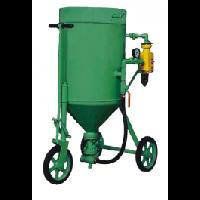 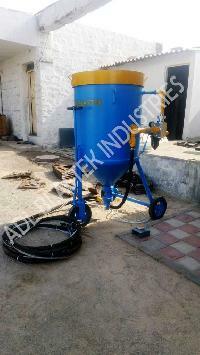 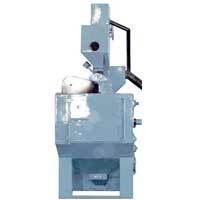 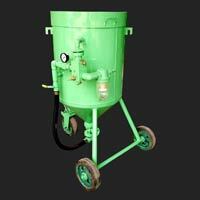 We manufacture all types of shot blasting machines both standard and special purpose. 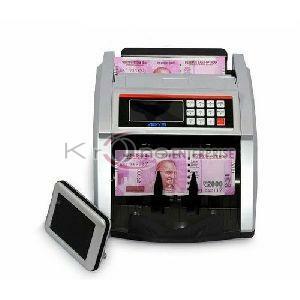 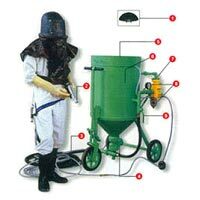 Our product range is shown below. 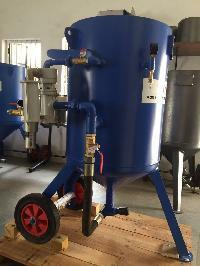 We advice suggest a suitable model for your application in terms of job size weight, material production volume etc hence to know your requirement please fill in the enquiry form & submit to us. 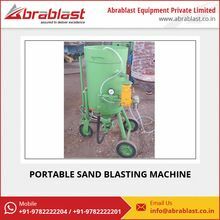 Portable sand blasting machines come fitted with Diesel Engine as prime mover in which case High Speed Diesel is used as fuel to run the Diesel Air Compressor unit. 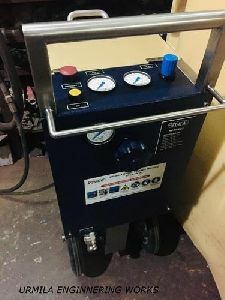 The Compressor side in the Portable Diesel Air Compressor unit is available in both Screw type as well as in Reciprocating type.As the unit is trolley mounted, hence it is portable and can easily be shifted at the work site from one location to another. 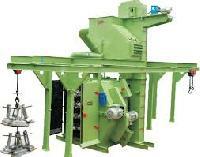 Packaging Details : 1 Set of Wooden Box Export Worthy Packing. 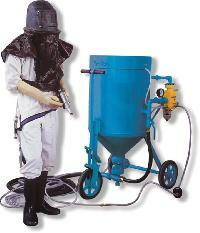 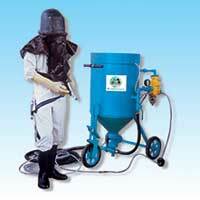 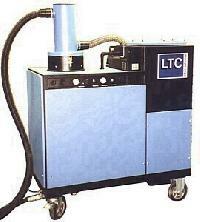 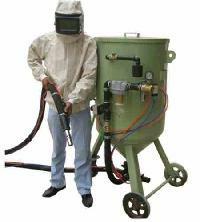 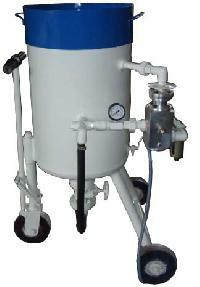 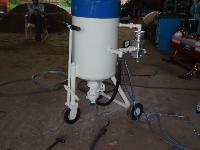 Mec Shot Blasting Equipments Pvt. 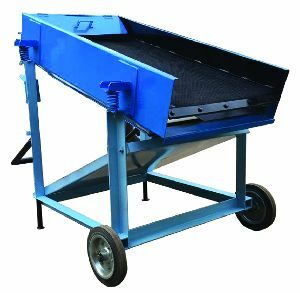 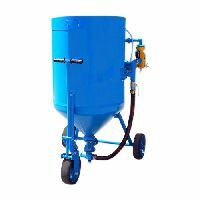 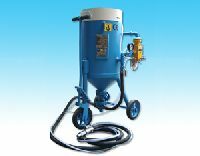 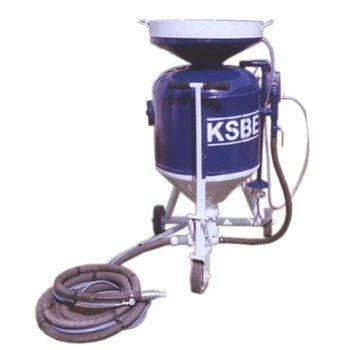 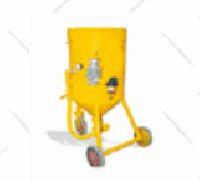 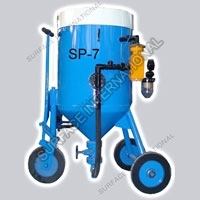 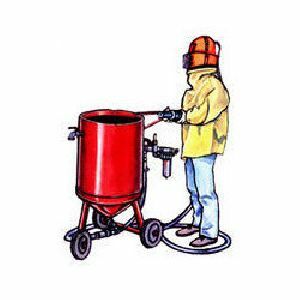 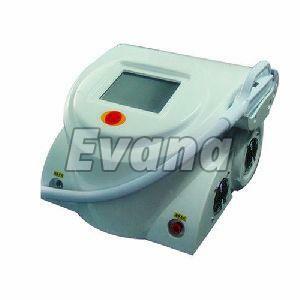 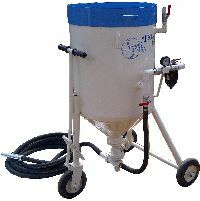 Ltd.
Portable Abrasive Blaster is mostly used sandshot blasting machine in industry because of its easy to handle technique and easy portability. 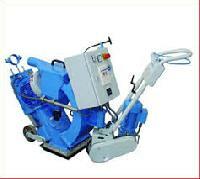 This blaster is equipped with wheels, so that it can be taken from place to another without any hustle.